What a crazy week this has been – a win over Melbourne and a 3-3 mid-week draw in the ACL. Now we get to cap off the period with another massive game against Western Sydney. 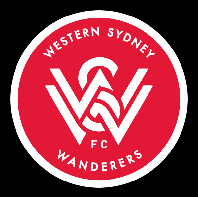 There’s still something to play for, as a win here would make it very likely that we will finish 2nd on the table and I’m sure the WSW players and fans will want to avoid that at all costs. Western Sydney have been in some great goalscoring form, with 10 goals in the last 4 games, including a 4-1 win over Brisbane and a 3-0 win over City. They have also had the whole week to rest whereas obviously many of our players had to play mid-week. Leading this goalscoring form have been Riera and new recruit Duke, with some other players pitching in for odd goals here and there. This frontline is quite strong, but it is clearly where they have spent most of their salary cap because in the previous game their backline consisted of Llorente, Elrich, Hammill and Kamau. This backline is going to clearly be a place we will be looking to exploit. Corica brought through a number of changes for the mid-week game and it will be interesting to see how many of them remain on the pitch. It seems clear that Ninkovic will come back into the squad and my gut feeling is that he will replace Da Silva. However, Corica may want to bring De Jong off the bench in an effort to avoid pushing his body too hard in the lead-up to the finals. If that’s the case, the Da Silva is quite likely to start and the Dutchman will make way for Ninkovic instead. It also seems likely that Brosque will come in for Reza up front, as we are going to need Brosque’s leadership and persistence in this game. At the back, Zullo is confirmed out with a hamstring problem for this game, which means that we have to slot someone else in at left back. Earlier this season, Calver played a game there and was very respectable, however he is firmly in place as a first choice centre back at this point. Given this, Corica has a couple of possible choices to replace Zullo. Tratt could come in and play on the left, and certainly he has demonstrated that he has the right sort of engine to play at full back. Retre is the other option, given that he filled in when Zullo came off in the previous game. Both of these players are right-footed, unfortunately, which may reduce our width in this game and put a bit more pressure on Ninkovic to bust open the left. My gut feeling is that Corica will go with Tratt here as the dedicated full back, but I wouldn’t be surprised if Retre comes off the bench for Tratt at some point given that Tratt hasn’t played a full game in quite a while. A win here would put Sydney FC on 51 points. That would be the third highest points total the club has ever managed in a season. It would overtake the league-winning 2009-10 (48 points) and 2014-15 (50 points). Sydney FC have conceded 2 goals in the last 5 derbies combined, scoring 16. Alex Brosque scored in the last two derbies. No Sydney FC player has scored in three straight derbies. Adam Le Fondre scored his 19th competitive goal for the club mid-week. This brings him equal to Filip Holosko as the 8th highest goalscorer in Sydney FC’s history.